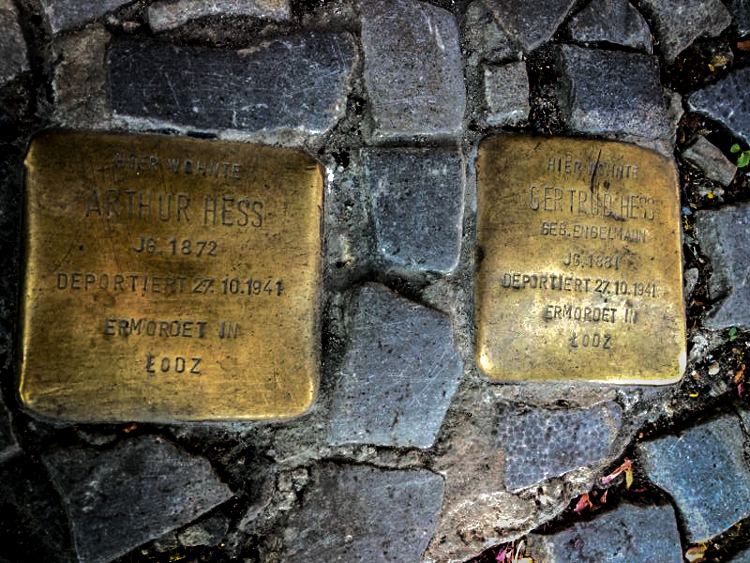 There are over 40,000 Stumbling Stones, not only in Germany, but also in Austria, Hungary, the Netherlands, Belgium, Czech Republic, Poland, Ukraine, Italy, Norway, and more. 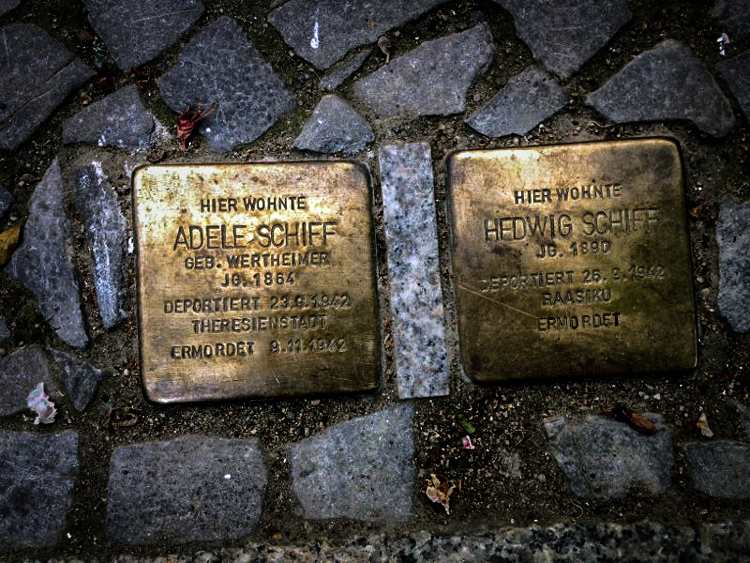 After finding out the meaning of these little blocks, I’ve decided to post a photo of any Stolpersteine that I come across. 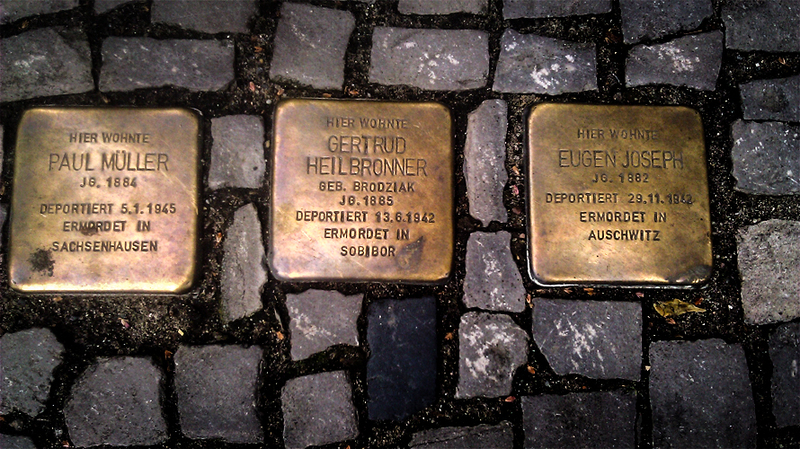 I cannot complete this project alone. 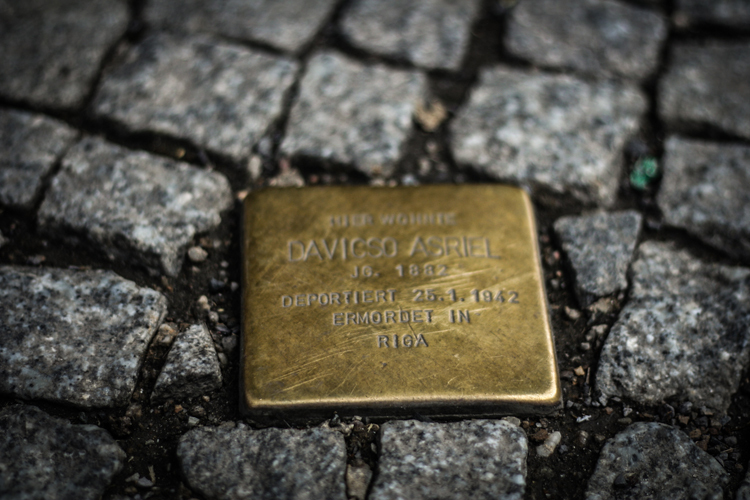 I’ve compiled a full list of cities by country that have Stolpersteine. 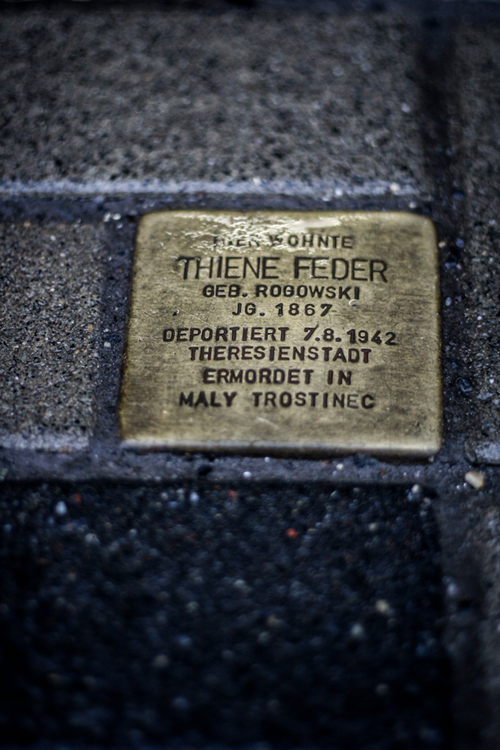 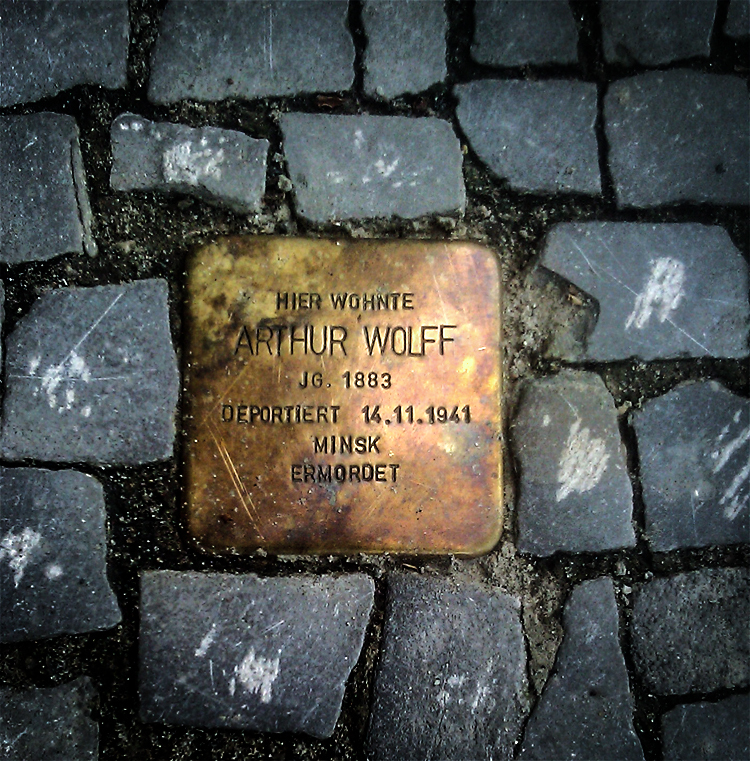 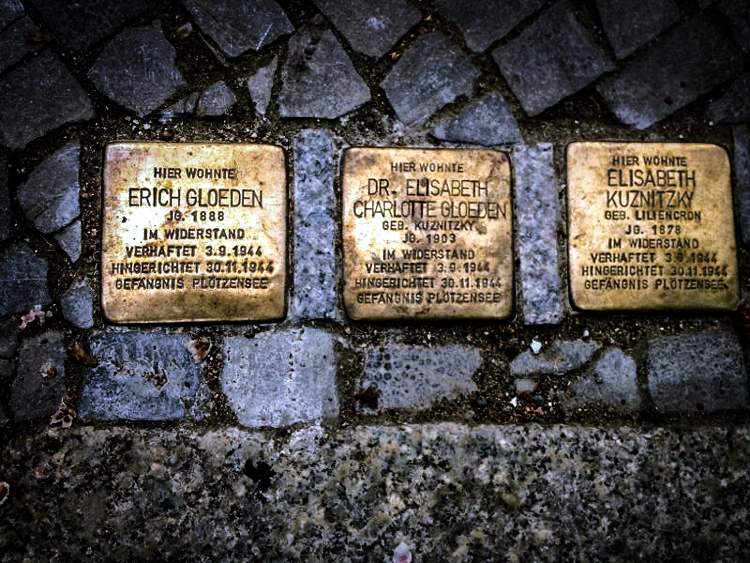 If you ever find yourself (or perhaps live) in one of these cities, keep an eye out for these Stolpersteine. 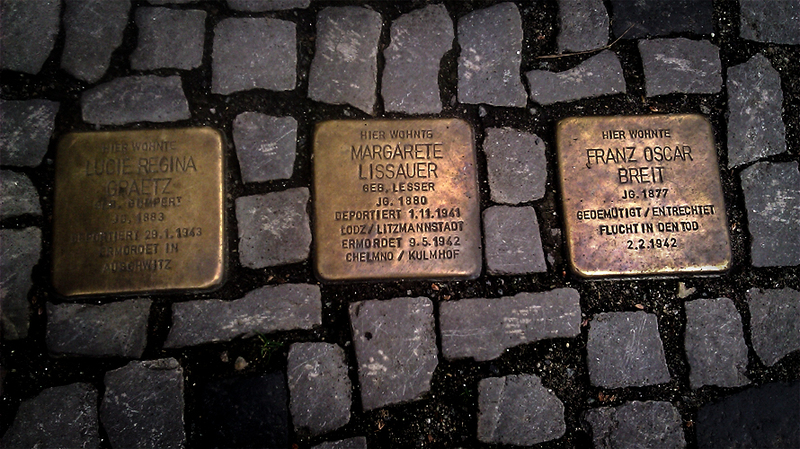 When you discover one, please take a photo and submit it to my project. 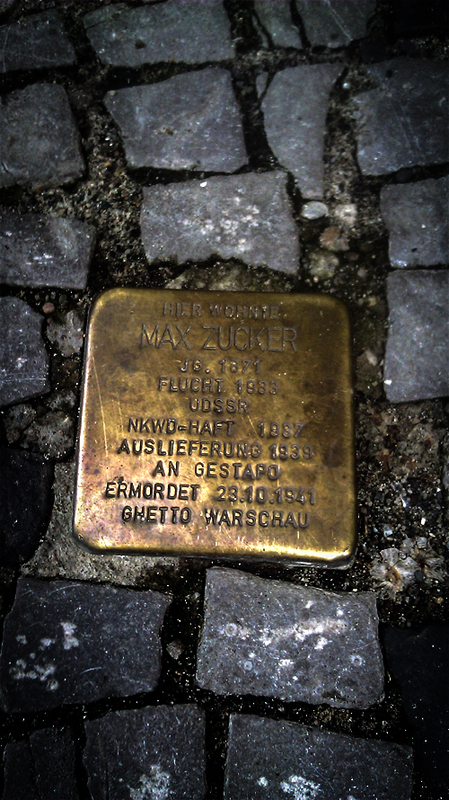 Full photo credit will be given.